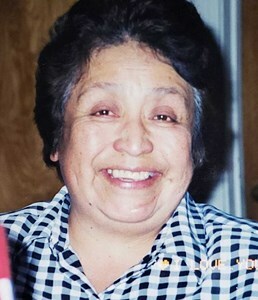 Newcomer Family Obituaries - Maria A. Leija 1941 - 2019 - Newcomer Cremations, Funerals & Receptions. Maria Antonia Tabarez Leija, age 77, passed away peacefully in her home on February 9, 2019 surrounded by her children. She was born on May 10, 1941 in Oaxaca, Mexico. Maria provided her family with various experiences and opportunities through her career as a custodian for Toledo Public Schools. She retired in 1994. Maria was a devoted Catholic who was known for her compassion for those less fortunate and was always willing to volunteer her time to help others. She was a long-time member of SS. Peter & Paul Church. Maria was known for her free-spirited personality, love for the beach and her sense of humor. Her strong work ethic, values and dedication was passed on to her children, Frank (Leslie) Tabarez, Irma (Gregory) Oberneder, Benjamin (Beth) Tabarez, Elizabeth (Tim) Chambers, Laura (Ben) Wolfe; grandchildren, Amanda (Jay) Murphy-Stricker, Brent (Carole) Tabarez, Alex (Megan) Rodriguez, Angela Wells, Andrew Wells, Chelsea Oberneder, Cassandra (Stephen) Kretz, Mason Wolfe, MacKenzi Wolfe; great-grandchildren, Greyson Murphy, Lennox Murphy and Isabella Tabarez; sisters, Elodia (Apolinar) Llamas, Teresa Sanchez, Patricia Sanchez . Maria was preceded in death by husbands, Eusebio Tabarez and Jose Leija; sister, Rosalia Sanchez. The family will receive guests on Thursday, February 14, 2019 from 10:00 a.m. – 12:00 p.m. at Newcomer Funeral Home, 4752 Heatherdowns Blvd., Toledo (419-381-1900). The Funeral Service will begin at 12:00 p.m. Entombment will be at Resurrection Cemetery. Memorials in Maria’s name may be made to: The Make-A-Wish Foundation in honor of her granddaughter, MacKenzi. To leave condolences for Maria’s Family, please share a memory. Add your memories to the guest book of Maria Leija. It has been our pleasure to be Maria's neighbor for many years. We have enjoyed getting to know Maria and her family; they just don't come any better. We will miss you Maria, rest in peace. To the family: your mom was a treasure, hold your memories close. Our thoughts and prayers are with all of you at this time. So sorry for your loss. Your Mom was such a wonderful woman, mother, grandmother, and role model. Our family will be praying for all of your family during this time. So sorry to hear about your Mom. May she rest in peace and you have comfort in knowing she is out of pain and suffering. I always remember her volunteering to be a chaperone for one of Pro-Life Club's trips to Washington, for the right to life march. Her interactions with us students were constant, and full of sweetness and humor. As I mentioned to Lisa, it always sticks out in my mind that she told me "I want to keep you!" Any time I've been around her, she has been warm, and kind. My prayers and loving thoughts are with you all.